University of Vocational Technology calls as Technical Colleges invites applications for the short courses. University of Vocational Technology has been established under the parliamentary Act No. 31 of 2008, to provide progressive upward movement to the students in the Technical and Vocational Education and Training (TVET). University is a member of the Association of Commonwealth Universities. Drafting Technology course award NVQ Level 5 Diploma Only. All the other courses award NVQ Level 6 Higher Diplomas. Application Fee Rs. 500. Please pay Rs. 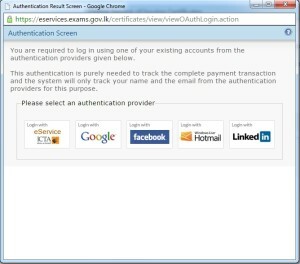 500 for relevant University College Account number and attach the bank receipt with application. Duly completed application form could be submitted through post to reach the following relevant address by registered post on or before 31st Janaury 2019.Please write “Application for University College & Relevant Course” on top eft hand corner of the envelope. On 28th September 2016 at 09.30 a.m. by the Vice chancellor Prof.Ananda Jayawardena in commemoration of the 50th anniversary reunion of the Pioneer Engineering Batch and the birth of the University of Moratuwa. 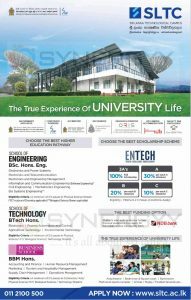 The University of Moratuwa (UoM) is the world renowned. Higher Engineering Education Institute in the country today. Over the past 5 decades of its existence, it has produced some of Sri Lanka’s leading engineers, who are today serving in most of the world. 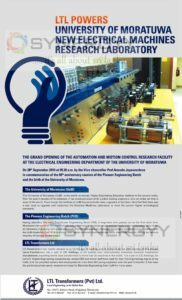 Even though the facilities at UoM have periodically been upgraded, it had been identified that there was a dire need to upgrade and modernize the Electrical Machines Laboratory to meet the current higher technological standards. 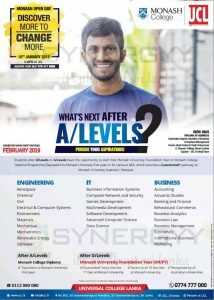 Having identified this need, The Pioneer Engineering Batch (PEB) of engineers who passed out as the first batch from Moratuwa University in 1972 decided that they would step in to design, equip and construct a new modernized, state of the art laboratory in keeping with world standards. The PEB Designed and managed the project Installation in consultation with the UoM Academic Staff. With the initial seed capital collected from within the batch, there was need for raising the balance majority of funding for the project. LTL Transformers Ltd, readily stepped in to fill the gap in funding, and is proud to be the sole sponsor of this project. Lanka Transformers Ltd, a part of LTL Holdings, is Sri Lanka’s only internationally acclaimed electrical transformer manufacturer, exporting world class transformers to more than 20 countries in the world. It is a part of LTL Holdings, Sri Lanka’s largest Engineering conglomerate, whose CEO and senior staff have read for their first Engineering degree at the UoM, and has provided careers and employment to more than 500 young engineers over the past 3 decades. It has been the preferred private sector employment base for Electrical Engineering from UoM for many years. Aspired to be an airline pilot? We will help you achieve your dream of becoming a pilot through our expertise services faster than any country in Asia ever before. We pioneer in the field of aviation in assisting you obtain your world class pilot license, despite any part of the globe you come from, with international recognition, yet with an attractive and affordable package to suit your requirement. Dream big being connected to us and our professional and friendly service will keep them alive by giving it your hands. Make a missed call or send a SMS as “PILOT SL” to 0094-7-277-255-40 to obtain a call from our consultants. Centre for Distance and Continuing Education is one of the best distance education providers Grater Colombo. 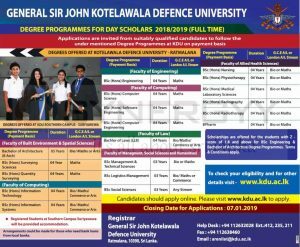 The Centre for Distance and Continuing Education managed by University of Kelaniya offers range of programmes for students who looking forward to improve their knowledge. 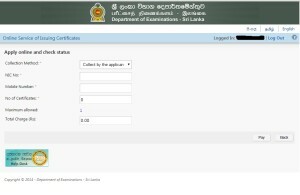 The University of Kelaniya External Degree division has release the names of the candidates who have passed the Bachelor of Arts (General) Degree Third Examination (External) – 2011/12 held in April/May/June 2014 and completed the requirements for the award of the Bachelor of Arts (General) Degree (External) are given below. 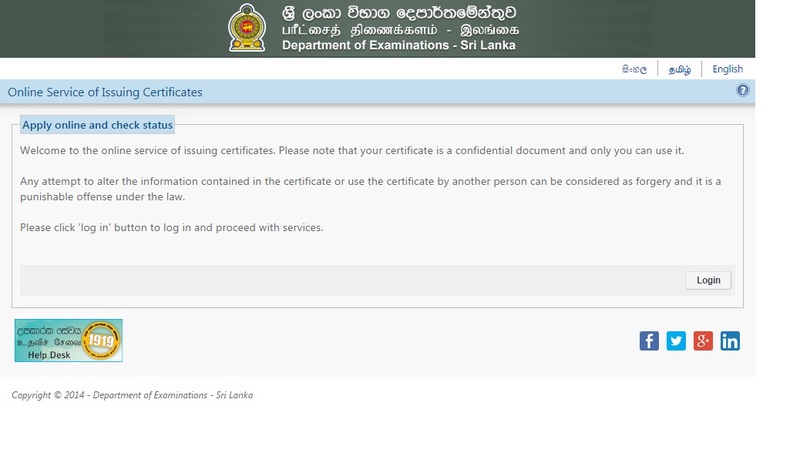 These results have been released subject to confirmation by the Senate and are valid from 01-07-2014.
if you found unable to check your number on above link, Click “Ctrl+F” to open a search tool Bar and enter your index number, than you will able to check your result without checking whole 118 pages. 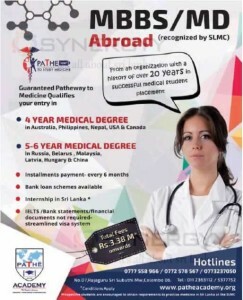 There are many foreign Medicine (MBBS/MD) Degree programmes available in Sri Lanka, some programmes offers 4 Years Medical Degree programmes and some do offer 5 to 6 Years Degree Programmes. 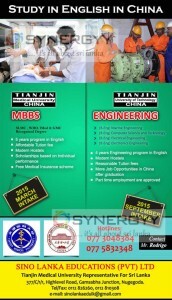 These Degree Programmes are mainly based on foreign country and this would lead a cost approximately Rs. 3.38 Million Upwards, In addition to that there will be about a Rs. 1 Million would cost for travelling and all accommodations for the period of degree programme. Therefore the total cost of the foreign Medicine would be cost about Rs. 4.38 Million to Rs. 5 Million. There are many banks do offer Banks loan for the degree programme which would be payable about 7 or 8 years period. Imperial Institute of Higher Education (IIHE) offers your University of Wales Prifysgol Cymru Bachelor of Business Management and Master in Business Administration (MBA). The Degree Programmes are Calls applications now for the March 2015, those who feel there are capable enough apply today for March 2015 Intakes. 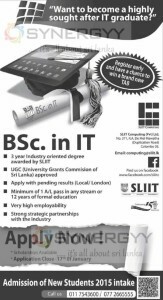 See below image for more details or contact to Imperial Institute of Higher Education, No.25 ½, Tower Building, Station Road, Colombo 04, Sri Lanka. 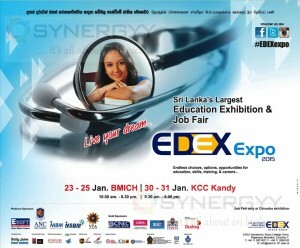 Applications are invited from promising and needy students who have gained entry to universities in Sri Lanka based on the GCE, A/L 2013 Examination results to follow courses in the faculties of Medicine, Engineering and Computer Science. Not less than 30% of the scholarships will be for those adhering faiths other than Islam. Application forms will be sent to eligible applicants only through Email. Students receiving financial assistance from non-governmental sources or being considered for such assistance please do not apply. 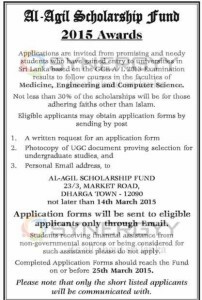 Completed Application Forms should reach the Fund on or before 25th March 2015. Please note that only the short listed applicants will he communicated with. Leading lawyer and Justice Minister Wijeyadasa Rajapakse stated that with the removal of Mohan Pieris as Chief Justice and Head of the Incorporated Council of Legal Education (ICLE), the Council under the new Chief Justice would restore the previous regulations and address the main concerns of the Sri Lanka Law College students. He said many unfair regulations had been introduced during the past two years and all such reforms will be revised and regulations which address issues of unfairness and irregularities will be established to suit I the students under the new Council. He added that the many changes would address issues of exam irregularities while stating they would address concerns faced by graduates of external systems as well. “We are looking to bring back the system where it is possible to do more than one exam in a single sitting. It should be up to the candidate whether he has the capacity to handle such a task. There have been students who have opted for this and excelled, so we want to bring out those who excel rather than hold them back” he said. 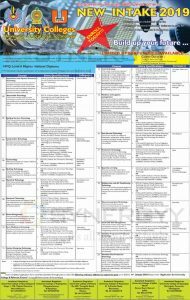 The newly appointed Council of Legal Education under which these changes are to be effected comprise the former Attorney General Palitha Fernando. 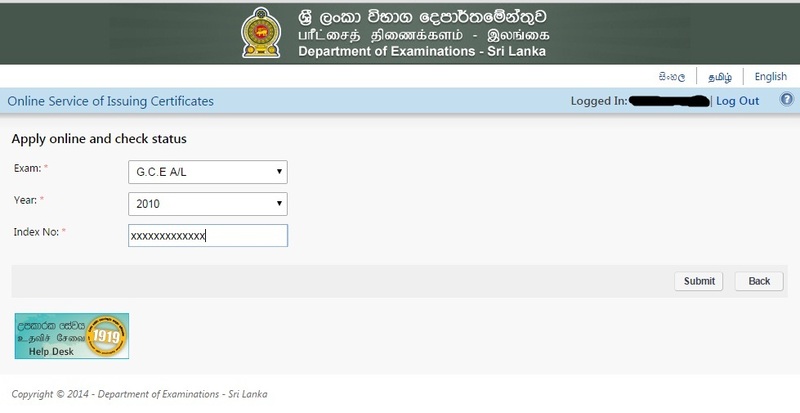 Dean of the Faculty of Law at the Colombo University V.T. Thamilmaran, Mr Ikram Mohammed PC, Mr. Nihal Fernando PC, Mr. Anil de Silva PC and Mr. Harsha Cabral PC. There’s no better way to start your career in aviation than with Sri Lankan Aviation College. 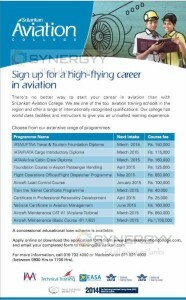 We are one of the top aviation training schools n the region and offer a range of internationally recognized qualifications. Our college has world class facilities and instructors to give you an unrivalled earning experience. 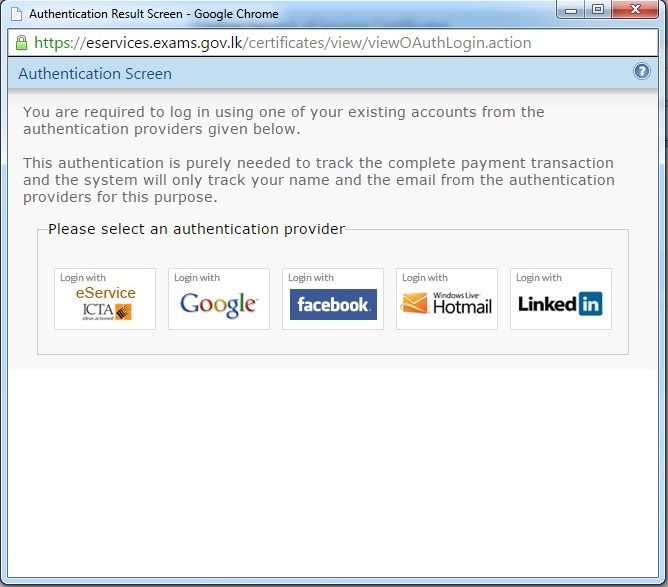 A concessional educational loan scheme is available. For more information, call 019 733 4000 or Nadeesha on 071 021 4000 (between 0830 Hrs to 1700 Hrs). 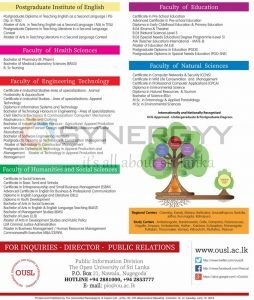 The Open University of Sri Lanka invites applications for the management Degree programme for 4 years programme. 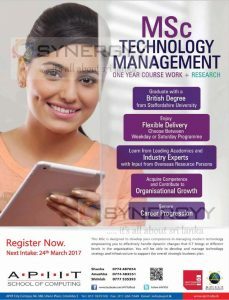 Those who would like to follow diploma programme will obtain in 2 years as same of 2 years completion of management degree. Applications form available from 13th January to 13th February 2015, Application closing date will be 13th February 2015. 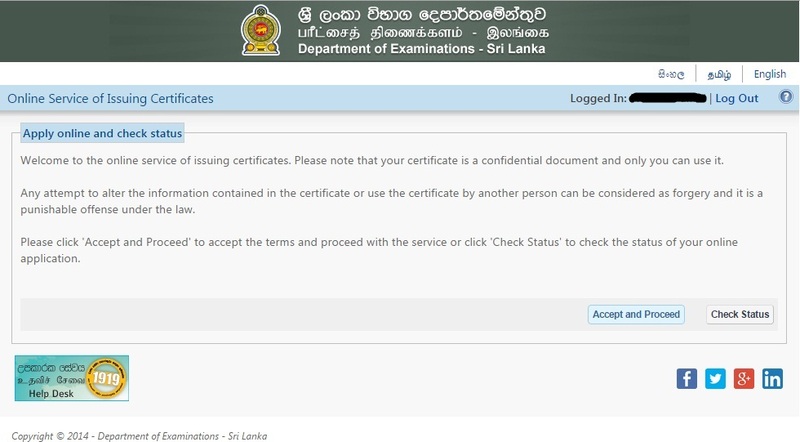 Academic activities will be conducted at the Colombo, Kandy, Matara, Jaffna, Anuradhapura, Batticaloa,Badulla and Kurunagala Regional Centres and Puttalam, and Vavuniya Study Centres. Application forms and particulars could be obtained I between 9.00 am and 3.00 pm on the payment of Rs. 750/= in cash, from following places. 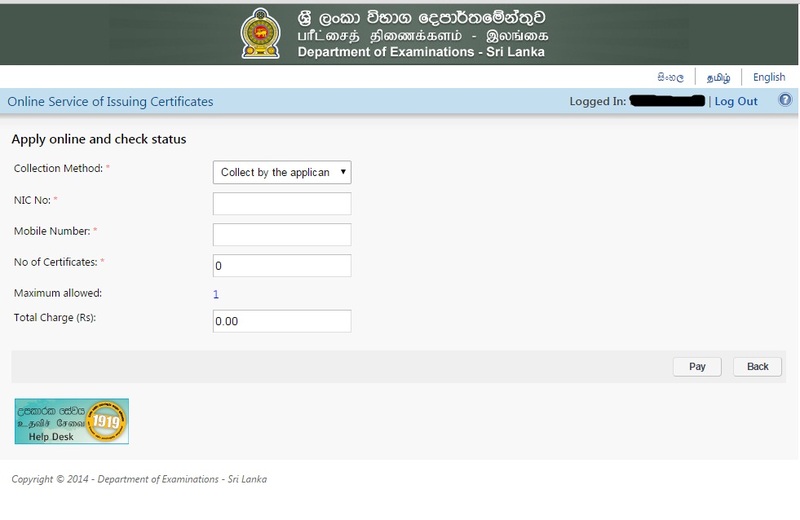 Completed applications should reach to the Assistant Director of the Regional Centre/ Study Centre from where applicant collected the application form. 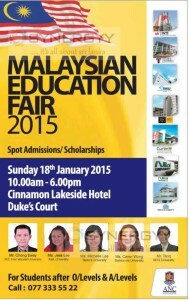 ANC organize a Malaysian Education Fair on 18th January 2015 at Cinnamon Lakeside Hotel Duke’s Court from 10.00 Am to 6.00 Pm. 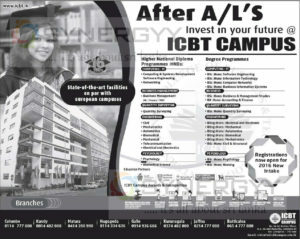 This Educational Fair suits for students after O/Levels & A/Levels. 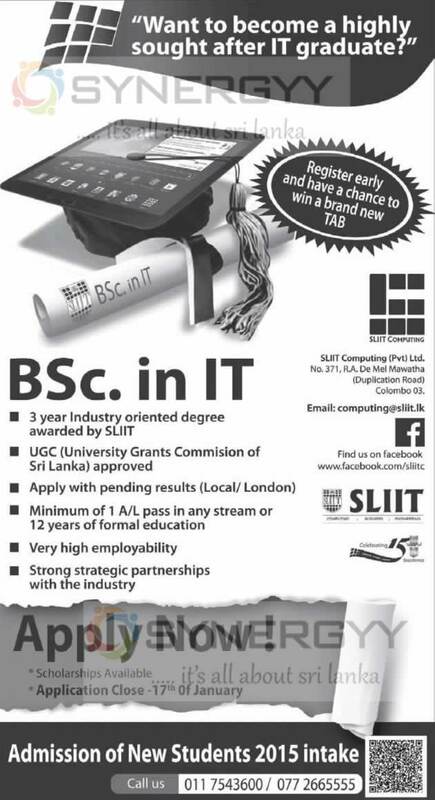 SLIIT Computing (Pvt) Ltd invites applications for Bachelor of Science degree programme Information Technology (Bsc in IT). and SLIIT offers an attractive scholarship for those who excel in school educations and extracurricular activities. The Applications are accepted till 17th January 2015. It is a journey to new horizons. 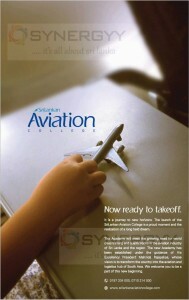 The launch of the SriLankan Aviation College is a proud moment and the realization of a long held dream. This Academy will meet the growing need for world class training and qualifications in the aviation industry of Sri Lanka and the region. The new Academy has been established under the guidance of His Excellency President Mahinda Rajapaksa, whose vision is to transform the country into the aviation and logistics hub of South Asia. We welcome you to be a part of this new beginning.